For those seeking adventure, the adrenaline of in-flight turbulence is boisterous whereas for most it’s an ill-timed and nerve-wracking experience. 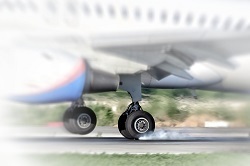 Turbulence also has an effect on the aircraft itself. Apparently, science lags behind here, but then aircraft cost millions of dollars. This high price-tag also links other players including aircraft manufacturer(s), airlines as potential buyers, banks and financiers, and maintenance, repair and operation (the MRO) firms. Each of these players including passengers has a common goal – safety of the aircraft and a pleasant journey. Meanwhile, we wish you a safe and enjoyable reading. We have discussed in our previous issue on aircraft mortgage which accentuates how a careful, well-planned and structured framework for secured transactions is a crucial step in improving access to credit and increasing credit for financing aircraft because aircraft mortgage can be tricky. The complexity of the mortgage escalates especially when dealing with its implementation in multiple jurisdictions. Further to our earlier coverage on aircraft mortgages, this third installment of three paper series will deal specifically with aircraft mortgage implementation in Dubai and the United Arab Emirates (UAE). To assist our international clients to make an advised decision while considering the application in UAE we have come up with this article which specifically speaks about aircraft mortgage implementation in the UAE. In UAE, the definition of aircraft is "a moveable property under states’ applied laws, rules, and regulations (as per Article 5 of Civil Aviation Law[i])." The commercial pledge in respect of movable assets is recognized under UAE Commercial Code[ii] under Article 164(1)[iii]. However, as per Article 165(1) of the Commercial Code, the commercial pledge is perfected when there is a deemed possession of the asset. Deemed possession of the asset occurs when the asset is at the pledgee’s disposal or where the "pledgee" receives a deed giving him the right to take possession of the asset. Therefore, the mortgagee or person appointed by the parties, such as bailee or agent of the pledgee, shall be deemed to be having possession of mortgaged assets i.e. aircraft, if the mortgaged asset is placed at pledgee’s disposal, to lead others to believe that the asset is in pledgee’s custody. The only way for the requirements of Article 165 to be satisfied is as per Article 165 (2), which states that the mortgagee has the exclusive right to take possession of the aircraft. This requirement is an abstract form of security, requiring the cumbersome process of delivering an asset from pledger to pledgee. In the case of aircraft, the lender might not be interested in burdening itself with physical possession which will require various other expenses such as hangaring, maintaining, and warehousing. To deal with such situations a borrower’s manager is appointed as bailee on the lender’s behalf to hold the aircraft while the borrower retains the actual possession. Hence, the term ‘aircraft mortgage’ (as understood by other jurisdictions) is viewed as a commercial or possessory pledge under the UAE law. The foreign bank would be considered “a juridical person” within the scope of Union Law Number 8 of 1984, and the term “finance business” can be interpreted to include aircraft mortgage transactions. Furthermore, as stated in Article 4, the mortgagee must be licensed by UAE. Security can be held, and a commercial mortgage can be registered (with the Department of Economic Development) by appointing a local security agent to act on the foreign lender’s behalf. The registration of a security interest is essential to seek priority. 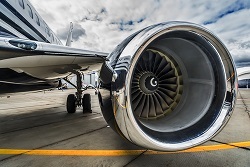 Failing to perfect a security interest over the aircraft would render the mortgagee to be clubbed in the list of unsecured creditors, thereby perhaps losing a potential claim. The Civil Aviation Law allows for the registration of aircraft mortgage with General Civil Aviation Authority (the GCAA). The GCAA maintains a title register wherein ownership and security interest gets recorded. This recording can only happen if the aircraft ownership vests with a UAE national, a corporation, corporate entity having its principal place of business in the UAE or a UAE government department (a Qualifying Person). The GCCA then issues a certificate of registration stating the details of the owner, the operator and the financier as mortgagee. The GCCA registers mortgages for foreign lenders as well. The registration in international registry under Cape Town Convention is affected through the GCAA as it is an authorized entry point for UAE in respect of International Registry. Unlike common law jurisdictions, the self-help remedy is not available in UAE to enforce the security interest. According to civil aviation regulations and revision of the Civil Aviation Advisory Publication No. 58, the GCAA has established a procedure for the execution of an Irrevocable De-Registration and Export Request Authorization (an IDERA) along the lines of Cape Town Convention which, apparently, does not require court approval. The IDERA gets executed in the name of the mortgagee who is the authorized party. This act allows the aircraft to be de-registered and exported to another country. Please note that the GCCA will not operate under IDERA in contentious matters without the court’s order. However, this yet remains untested in the UAE. Nevertheless, whenever it seems like the court’s intervention is needed for enforcing security interests, the court can be approached by relying on several contentions stated in the Commercial Code and Civil Transaction Law. Under Article 172 of the Civil Procedures Law, if the secured debt is not satisfied when due, the pledgee can apply to the court to sell the asset to recover their debt. This can only be done after serving a notice seven days before the application. The attachment procedure is also conducted by UAE courts under Civil Procedures Law without notice to the mortgagor in the event of dispute over the right to repossession of aircraft. Further, a substantive action needs to be filed after eight days of the attachment application, failing which the attachment order will be rendered void and ineffective. In the case of insolvency of the pledger, the Commercial Code regulating the bankruptcy proceedings will come into play. We recommend that financers seek legal advice to understand the nuances of UAE laws and any international law (including English law mortgage) for implementation in UAE if they would like to take security over moveable assets such as aircraft. Clearly, the intricacy and complexity involved in this particular transaction are cumbersome and excessive. It would be, in our view, prudent to understand the importance and complications of the processes for repossession of aircraft, registration of aircraft mortgage transactions and the different flexible and case-specific scenarios that these laws can be applied to.